They're not Android One phones, but they're very faithful to stock Android. Nokia may be a household name, but it’s not for anything it’s done recently. Even today, nostalgic feature phones such as the 3310 and the classic Snake game are still more likely to be associated with Nokia than the flagship Nokia 7.1 or any of the brand’s newer Android handsets. Nokia’s newest handsets, the 2V and 3.1 Plus, probably aren’t going to change that, at least not overnight. They’re not flashy or packed with features or even all that nice looking, but they represent an important step in Nokia’s global expansion. As announced last week, parent company HMD has struck a deal with Cricket and Verizon to bring the first Nokia phones in a decade to carrier stores. And they’re definitely not premium: the 3.1 Plus costs $160, while the prepaid 2V will sell for $70). But while the two handsets here are decidedly on the bargain and budget end of the spectrum, they just might be the thing that brings Nokia back into the mainstream. With premium smartphone fatigue becoming a real thing and people holding onto their phones for longer, Nokia’s unique proposition of “value by choice” just might be the right change of pace at just the right time. The Nokia 2V looks something like a Pixel 2 knockoff. And when you hold them, they’re not all that striking either. Both phones have blue plastic backs and are extremely light to hold without feeling excessively cheap. 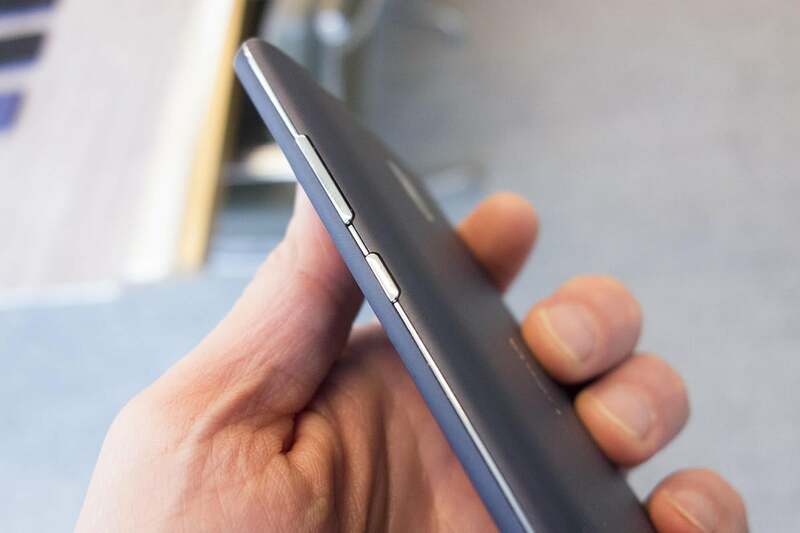 They’re thicker than most other phones I’ve used but not excessively so, and the 1080p high-definition screens have giant bezels all around with extremely large foreheads and chins. 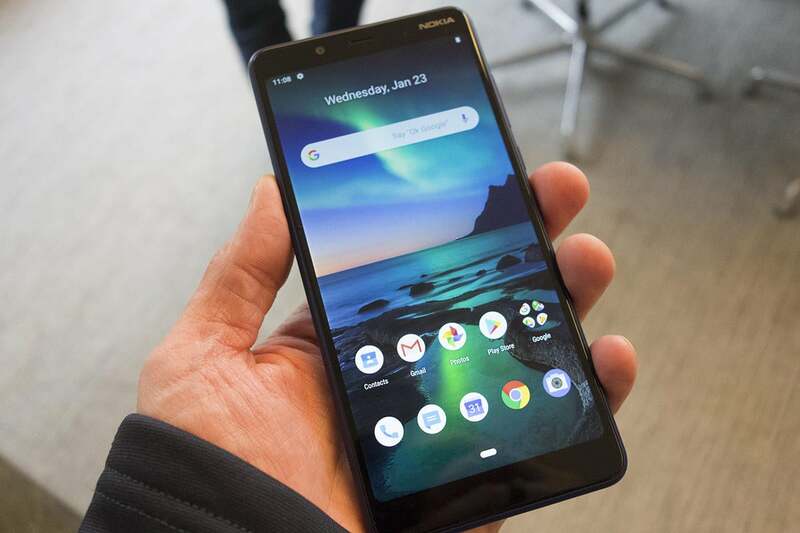 The Nokia 2V in particular looks like a Pixel 2 knock-off, with front-facing speakers flanking the screen and faux metallic accents, while the larger Nokia 3.1 Plus is basically a larger version of the Nokia 3.1 phone. Metallic accents give the Nokia 2V a nice aesthetic. The Nokia 3.1 Plus might be able to pass for a more expensive phone from the front, but that kind of goes away when you flip it over. It’s not just that it has a somewhat flimsy plastic back—it also has a small notch near the bottom that lets you pop the cover off and see what’s inside just like the Galaxy phones of old. But don’t get excited: You can’t replace the battery. It’s only for accessing the SIM and SD slot, which seems unnecessarily cumbersome and risky. But you probably wouldn’t need to swap out the batteries in these phones anyway—or charge them very often. The Nokia 3.1 Plus has a 3,500mAh battery while the Nokia 2V has a 4,000mAh one, both bigger than most flagships. Nokia says they’ll last two days on a single charge, which is hard to argue given the low-level chips and screens. 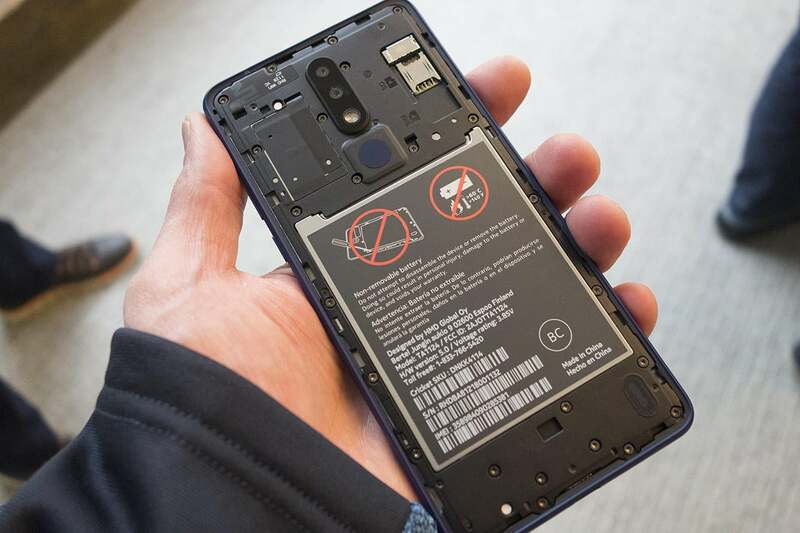 You can see the battery on the Nokia 3.1 Plus, but you can’t swap it out. As you might have guessed, neither phone is rated for water resistance, and I have to assume the 3.1 Plus’s open design means it will instantly fry if it comes into contact with the slightest amount of water. And while the Nokia 3.1 Plus has a rear fingerprint sensor, you won’t find one anywhere on the 2V, a major security drawback even on an ultra-budget device. 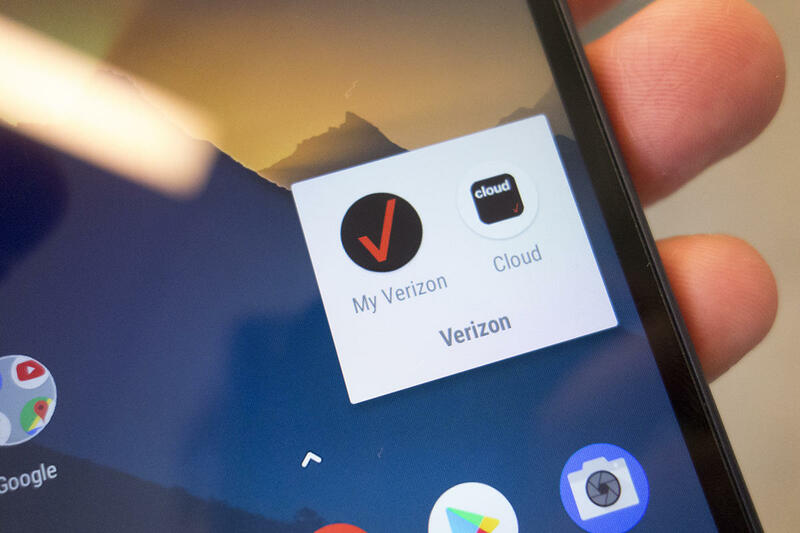 The “V” in the 2V name obviously stands for Verizon, but even though the 3.1 Plus doesn’t have Cricket branding in its name, both of these phones are locked to their respective carriers, apps, updates, and all. If the phones I used are indicative of the final carrier, however, the branding isn’t too terrible (other than the respective logos on the rear). Each phone had a couple of apps that couldn’t be deleted, but there wasn’t anything too heavy-handed. However, neither handset is running Android One, and it remains to be seen whether updates will arrive as quickly and regularly as they do on Nokia’s unlocked phones. Nokia says they will, but with Verizon and Cricket running the show, reality and expectations may differ. The Nokia 3.1 Plus has a dual camera and a fingerprint sensor on the back. 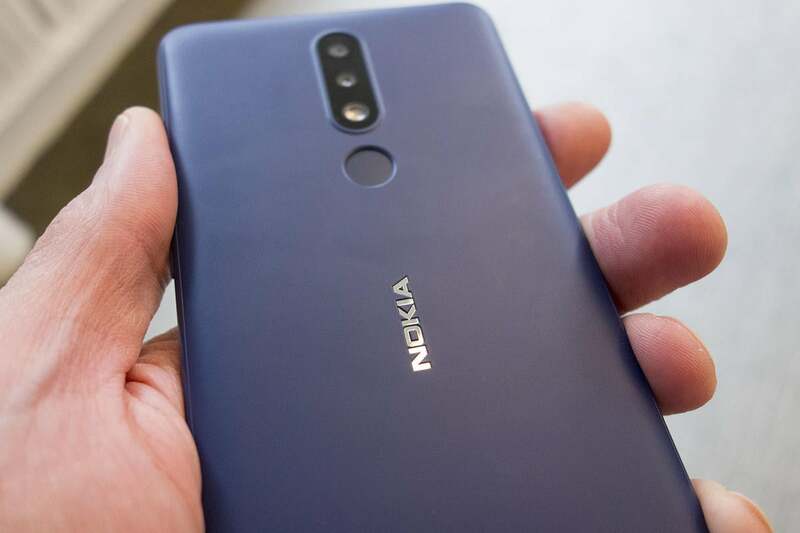 Even without the Android One stamp, however, the 2V and 3.1 Plus are extremely faithful to stock Android, and neither strays too far from the pure experience Nokia offers on its other handsets. The 3.1 Plus has a “best of Android” Pie skin made by Nokia while the 2V runs Android 8.1 Oreo (Go edition). Both OSes are clean and minimal, and even with limited RAM and a low-end processors, animations were quick and apps launched without any overly noticeable lag during my time with them. That’s hardly a true performance test, of course, but I’ve used enough Android phones to know how to garner a pretty accurate first impression, and the Nokia 2V and 3.1 Plus are strong budget entries. No one’s going to mistake them for mid-range phones or few people will purposefully seek them out, but that’s not the point. Nokia’s new phones are mean to bring the “pure” Android experience to budget phones, which are all too often slathered in heavy-handed skins and bloated with unnecessary apps. Verizon’s apps are represented on the Nokia 2V, and they can’t be removed. So while Nokia’s newest phones aren’t going to turn heads, they could turn the most important thing of all: the tide. As more buyers focus on security and longevity over premium features and prices, the value HMD is bringing isn’t in features or design, it’s in Android itself. With the 2V and 3.1 Plus, Nokia is offering the promise of a clean OS with regular updates that costs a fraction of what other phones cost. And you can get it though a carrier. So don’t pay attention to the cheap plastic back. It’s what’s on the inside that matters. 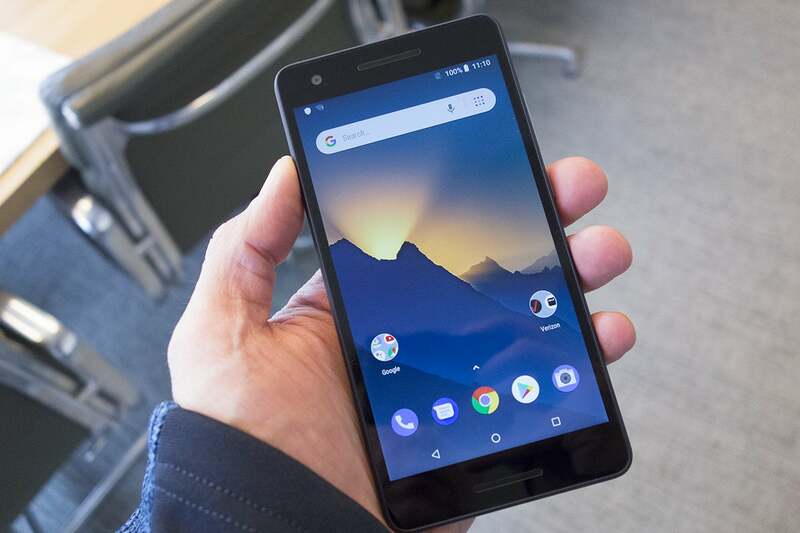 This story, "Nokia 3.1 Plus and 2V: Hands on with HMD's 'pure,' plastic push to bring value to budget Android" was originally published by PCWorld.